I spent my weekend scrubbing and patching and scrubbing a lot more in our new house. New house cleaning is like spring cleaning on steroids. I think every bone in my body is groaning and, yet, my mind is so excited. I cannot wait to go back to do more work! Many of the pictures below do not accurately portray the atrocity of the damage and filth present in the home. I ask myself, “Why in the world would I share pics of a dirty, beat down house?” Because y’all, it has a heart of gold. 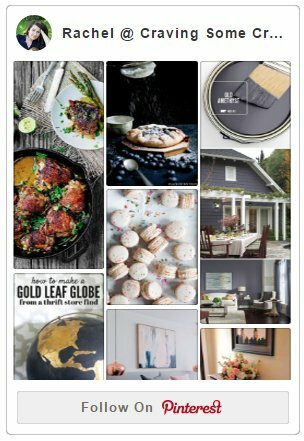 Chronicling turning our house from “ewww” to “ahhhh” will be a big part of both my real life and my bloggy life this year. I think it’s best to start an adventure from the beginning. And in this beginning, there is potential. Just so I don’t scare you too early, this is my dream kitchen. Or at least it will be. Somehow this kitchen was spared most of the damage. 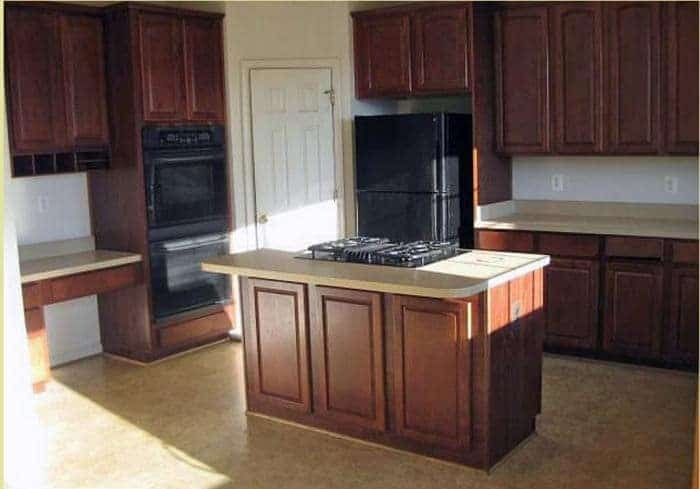 The cabinets are close to pristine. The laminate countertops have, however, suffered the wrath of hot pots. I have said this before, but hubby and I have this theory that people were living in the house after it was foreclosed with no water or gas. Living room. Stained carpet- check, broken fireplace- check, random paint color testing squares (out of view)- check, someone bouncing a filthy tennis ball all over the walls- double check. Future craft/scrapbook/photography/office. The immense amount of natural light is gonna be awesome for photographing future crafts and tutorials. The main bathroom. What you can’t see in that pic is that the paint is peeling away from the shower head pretty badly. Oh, and apparently the former tenants wanted to take the toilet lid with them as a memento. How do I replace a toilet lid? Front bedroom. The windows don’t actually close completely. Master bedroom. Yeah, no idea what was going on here. This is the farthest room in the house and obviously the nastiest carpet. How does that happen? Oh and if that wasn’t strange enough, the door to our master has no knob, only a deadbolt that locks from inside. Creepy. Welcome to my new adventure!!!!! LOL Yeah the master bedroom’s lack of knob and deadbolt is freaky. There has to be a story there- I wanna know! This looks like a major project but I think you’re up for the challenge. You’ll nail it- ha ha..get it? Sorry I realize I’m cheesy. LOL, Rebecca, I love your personality, cheese and all! So much fun! Call if we can HELP! ?